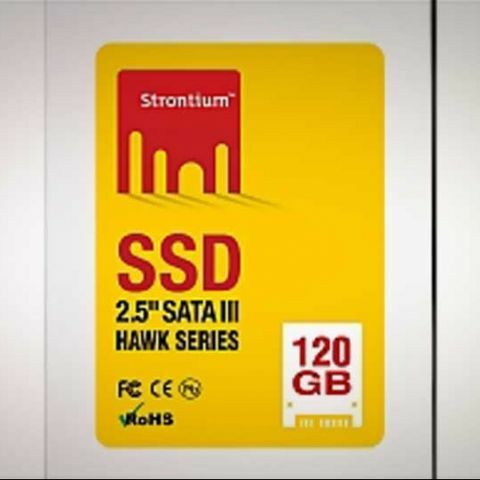 Strontium Technology has announced a new series of solid state drives called HAWK. These are Hynix-made solid state drives with Strontium branding and after sales support. The Hawk series SSDs are based on SandForce’s SF2281 controller and SK Hynix flash. The drives are said to be an upgrade option for consumers, who are looking to buy new laptop or desktop. With over 500MB/s of read and white performance, the HAWK SSDs are promised to make laptops and PCs run faster. In addition, SSDs feature enhanced durability, shock-proof, silent operation and are more reliable as compared to traditional hard drives. Strontium’s HAWK SATA III are available in two different storage capacities -- 120 GB and 240 GB with part numbers SRSSDHK-25/120GIII and SRSSDHK-25/240GIII and are available with Strontium’s authorized distributors and e-retailers at a street price of Rs. 6,999 and Rs. 12,999 respectively.